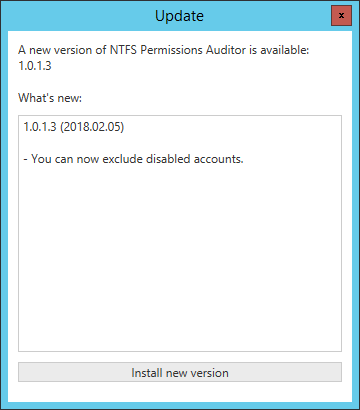 NTFS Permissions Auditor on startup automatically check for updates. If any update is available, You will get a message about it. If You close windows about updates, You can open it later from Update available tab and press See changes, and update.